In addition to our one-on-one work, what you do at home is essential for facilitating healing. Herbs, vitamin supplements, dietary changes and lifestyle modifications can speed up the process and assist you in making lasting changes that will support your vitality. I've partnered with some providers to give you the best support possible. I've negotiated a 15% discount with Natural Partners for all my patients so that you can order the highest quality herbs and supplements at the lowest prices. They deliver herbs and vitamins to your door. Please ask me for an escript for your personal recommendations. 1.) Click the "Create Account" button in the upper right hand corner of the page. When ordering from this site you will receive a 15% discount off the regular price. There are thousands of products to choose from and you can order each time you need something or set up Auto Shipping on products that you always use. Also shipping cost for economy shipping is $1.99 for most orders. For busy people living in the Santa Cruz area, I highly recommend trying out Golden Roots Kitchen for homemade, fully-prepared meals delivered right to your door. As a working mom who loves to cook but is also very busy, Golden Roots has been a lifesaver for me! They are offering my patients a 20% discount on their first order. Use the code: DRFARBER. Support your local herb shop! 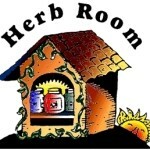 In Santa Cruz, we are fortunate to have The Herb Room, which is open until 10pm for those late-night emergencies. If you need my suggestions for some of their over-the-counter remedies, please get in touch. And I can't say enough about the benefits of starting a regular exercise program! Yoga is something that is accessible to everyone and I'm happy to report that Santa Cruz Yoga has a full schedule of classes in a friendly studio. They have Gentle Yoga classes for beginners or people recovering from injuries.